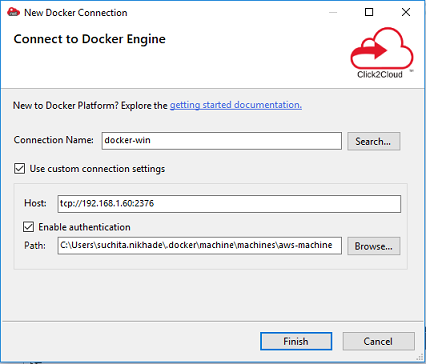 This plugin aims at providing not only the basic level features as the command-line interface of Docker, but also provide some advantages by having access to a full-fledged UI integrated in IDE. 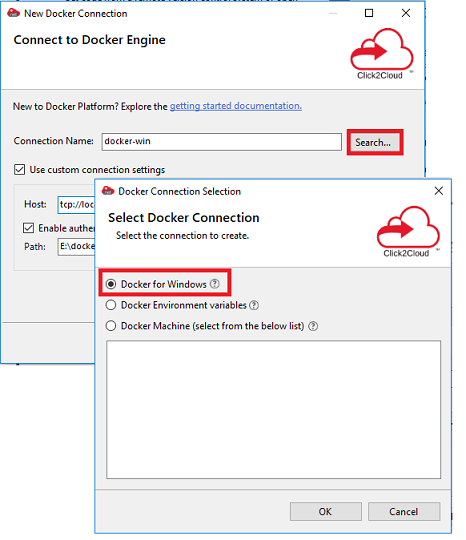 Click2Cloud's Docker Extension for Visual Studio; aimed at providing at minimum the same basic level features as the command-line interface of Docker, but also provide some advantages by having access to a full-fledged UI integrated in IDE. 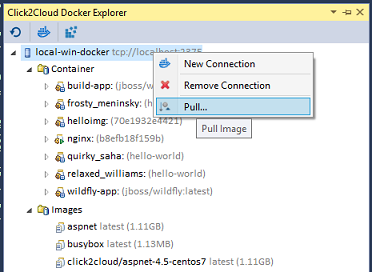 This is pre-release version of Docker Extension for Visual Studio. 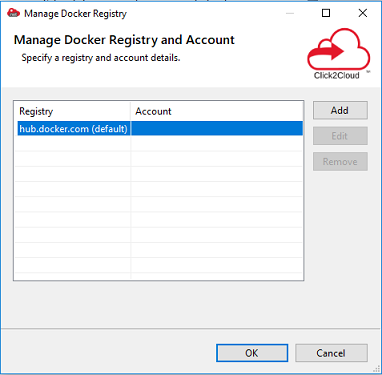 Following are the software pre-requisite to install the Click2Cloud Docker Extension for Visual Studio 2017. 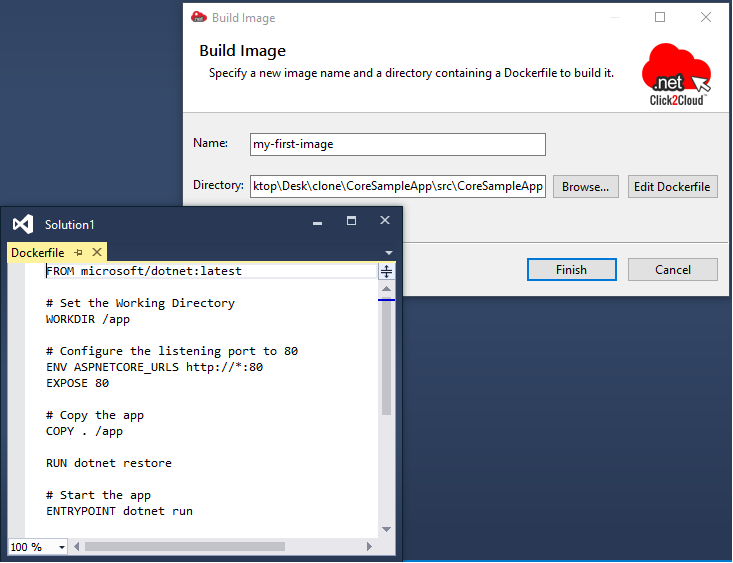 Docker Command Line Tool for Windows [17.06.X]. NOTE: Current version of Docker Extension supports connecting with Docker Daemon version 17.06.X. 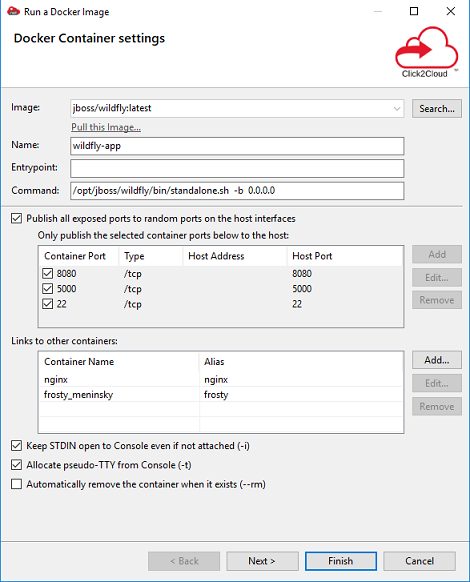 Support to connect to local or remote docker daemon. Click on Test Connection button to test your connection settings and click on Finish to connect. 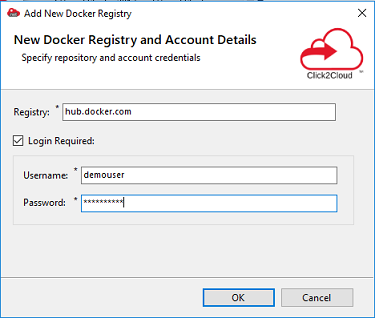 Manage Docker Registries and account. 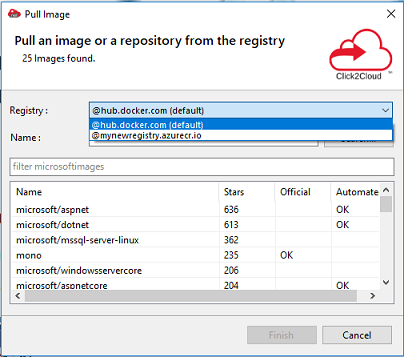 Search and Pull images from docker registry. 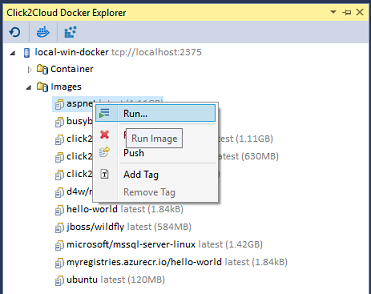 Run Docker Image wizard, to run any Docker image as a container.